As we look to the future we remain proud of our past accomplishments. 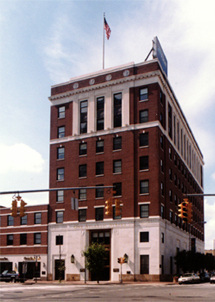 Seth G. Weinstein as President of Lexington Development Group re-developed this 250,000 square foot major downtown office building from single-tenant to multi-tenant use, including complete renovation of the public areas and façade as well as the addition of dining and fitness facilities. Seth G. Weinstein as President of Lexington Development Group redeveloped this classic 1925 brick loft building into Retail and Office space. The building was completely reconditioned and repositioned in the market and sold to an investment group. Seth G. Weinstein and Charles Mallory as Principals of Clearview Investment Management re-developed and re-positioned this historic downtown office building into a class A building now known as the Bank of America Building. This premier historic office building was built in 1929. Repositioning the building and leasing up the vacant space created substantial value. The building was sold to Ivy Equity Investors. Seth G. Weinstein and Charles Mallory as Principals of Clearview Investment Management re-developed and re-positioned this waterfront office building. The team redesigned the building and added a fitness center and a dining facility as well as a new entry and market identity. The marina and boardwalks were totally rebuilt including a new fuel dock. 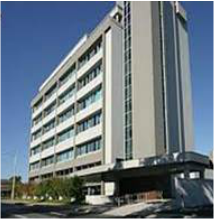 The building was fully leased to Class A credit tenants. In April 2004 Mr. Weinstein sold his interest in the building to a Greenwich CT based real estate investment development fund. 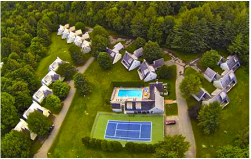 Stonington Commons was developed by Seth G. Weinstein and Charles Mallory of Clearview Investment Management. This development is the proud recipient of New York Construction Magazine's prestigious Best of 2005 Award of Merit for Adaptive Re-Use. It is further distinguished by The Real Estate Exchange of Connecticut's 2005 Blue Ribbon Award as the project of the year recognizing its architectural excellence and the enormous obstacles that the development team overcame to realize the project vision. Stonington Commons is a Landmark mixed-use community composed of condominiums, single-family homes and commercial space, including the Stonington Harbor Yacht Club. The project complements and enhances the image of the Borough of Stonington, respectful of its residential and historic character. For the first time in 250 years, the public enjoys access to the waterfront at this spectacular location. The developers have made the entire site open to pedestrian access and have constructed a waterfront nature walk, boardwalk, and gazebo. Built on the site of the old Monsanto Mill, Stonington Commons transformed an abandoned, polluted, factory site and incorporates structures dating as far back as the war of 1812. The two main residential buildings date from 1849 and 1906. Great care has been taken to re-create the historic feel of the buildings while utilizing the most modern building technologies and maximizing the magnificent water views. The Metropolitan was a joint venture between Seth G. Weinstein of Hannah Real Estate Investors, Paxton Kinol of Stillwater Investment Management and other local partners. The Metropolitan is Stamford's first luxury loft condominium development, and has captured the interest of Stamford buyers seeking a truly unique, sophisticated, urban living experience. The building represented a first-of-its-kind conversion in Stamford of a 66,000 square foot office building to high end residential use. The Metropolitan's soft gray stucco, natural copper, and stainless steel façade opens to a striking, modern lobby. The 39 luxury condominium residences have 10-11 foot ceilings, expansive windows, and sleek interiors. Penthouse units offer large private terraces and panoramic views. Adjacent to the main building, 12 four-story brick and stone Town Homes echo the boldness of the interiors in The Metropolitan. All residents enjoy the lifestyle enhancing amenities of a building concierge, private fitness center and an elegantly styled club room. Seth G. Weinstein and Charles Mallory as Principals of Clearview Investment Management re-developed the Greenwich Harbor Inn into the wonderful Delamar Hotel on Greenwich Harbor starting in 1999. Mr.’s Weinstein & Mallory created a landmark hotel and leased the restaurant & banquet facilities to a Manhattan based group that created the fabulous L’escale — Connecticut’s finest dining establishment. The new Delamar Hotel opened in January 2003 and was named one of the 80 best small hotels in the world by Conde Nast Traveler. In April 2004, after the hotel and restaurant were fully operational and had garnered international recognition and rave reviews, Mr. Weinstein sold his interest in the hotel to a Greenwich based real estate investment fund. Seth G. Weinstein and Charles Mallory as Principals of Clearview Investment Management acquired the Hoffman Fuel Depot, demolished the fuel tanks, cleaned the brownfields site to CT residential standards and along with Avalon Bay Communities obtained zoning approval for a major residential apartment complex with Marina, public waterfront walkways and park areas. 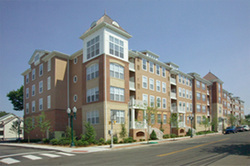 Avalon eventually purchased the entire project from Clearview and completed the project as Avalon on Stamford Harbor. Adams Mill River House was a joint venture between Seth G. Weinstein of Hannah Real Estate Investors and Paxton and Ray Kinol of Stillwater Investment Management. Completed in June 2007, Adams Mill River House is a 60-unit luxury condominium complex incorporating seven, for-sale, affordable residences within an integrated housing model. The site was an assemblage of 5 parcels where blighted homes once stood as an invitation to negative activity. Adams Mill River House continues the transformation of this west side neighborhood by bringing productive and positive use to this city block and offering safe, lamp-lit sidewalks and street tree plantings leading all the way to the elementary school at 64 Adams Avenue. Adjacent to Mill River House, this development shares the same proximity to the Mill River Park and the exciting cultural amenities offered in Stamford’s vibrant downtown. Owners of these one, two and three bedroom homes enjoy an outdoor garden and recreation area, a private fitness center and covered parking. Mill River House was a joint venture between Seth G. Weinstein of Hannah Real Estate Investors and Paxton and Ray Kinol of Stillwater Investment Management. Mill River House won a coveted Award of Merit in the Residential category form New York Construction magazine as part of its “Best of 2006" Program. Mill River House was selected as one of only two projects, and the only project outside Manhattan, to receive this award recognizing its design and construction elegance. The building was also honored by The Real Estate Exchange of Connecticut with a prestigious award in the Residential Development category recognizing Mill River House for its architectural excellence, neighborhood transformation, Brownfield conversion, and inclusionary affordability. 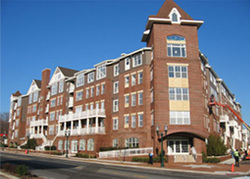 The Mill River House Condominium is a 92-unit complex composed of luxury condominiums integrated with an affordable unit component. This project was transformational for the community as the site was a blighted Brownfield property at the gateway to Stamford’s west side. The project serves as a catalyst for major change in the neighborhood. Mill River House was the first private development to contribute to neighborhood revitalization through tax revenue earmarked for the Mill River Corridor plan. Glen View House is a joint venture between Seth G. Weinstein, Paxton Kinol of Stillwater Investment Management and Mass Mutual Insurance. Glen View House is a 140-unit luxury apartment complex. Walgreens has leased the entire 15,000 square feet of retail space on the ground floor. Diagonally across from the Financial Center, this property brings grace and beauty to the entrance to Stamford's east side. The site claims the highest elevation in the city center and many of the residences enjoy spectacular views of the city skyline and Long Island Sound. Occupants of these wonderful flats also enjoy a tiered, center garden with swimming pool, a private fitness center, and ample covered parking. Glen View House was built on a reclaimed brownfield site and helps to transform the city's eastside corridor as a gateway project. Eastside Commons is a joint venture between Seth G. Weinstein and Paxton and Ray Kinol of Stillwater Investment Management. Eastside Commons is a complex of 108 luxury residential units integrated with a ground-level 15,000 square foot commercial/retail space. Fairfield County Bank has leased a significant portion of the commercial space at Eastside Commons. Residential units range in size from 950 square feet to 1710 square feet. The site was formerly an automobile dealership and service facility along the main artery through Stamford's East Side. The project will continue the dramatic re-vitalization of the neighborhood, extending the transformation that is beginning with Glen View House further to the east on the Main Street corridor. The city is in the planning process for a new Metro-North Railroad Station on the East Side, and this project will contribute to the city's goal of creating more housing within walking distance of mass transit and downtown amenities. Seth G. Weinstein as president of Lexington Development Group along with his Swedish partners purchased a tract of land in the Sugarbush Valley in Vermont to develop a ski home vacation community using pre-fabricated panelized homes built in Sweden and shipped through Boston harbor in containers to the site. At the time Sweden had the most advanced sustainability designed factory housing manufacturing capability in the world. The project was a great success erected on site in just a few months and incorporating then state of the art insulation and energy saving features that dramatically cut not only construction time but energy costs as well. The project was featured in building and technology magazines including Builder and Popular Mechanics. Additional projects were constructed using the Swedish panelized homes near Newport, RI, the Hamptons, NY and Greenwich Ct.
Seth G. Weinstein and Charles Mallory purchased the 44-acre Jacksonville Shipyard site in Jacksonville Florida through a Federal Court sale in Florida. 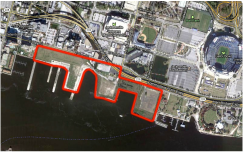 The extensive Shipyard property represented the entire waterfront area along the Saint John River between downtown and the Jaguar Football Stadium. The original plan was to develop a master planned community of office, residential, retail and marine facilities on the site. A master plan was developed and a local group stepped up with a very attractive purchase offer for the property which the partners accepted.